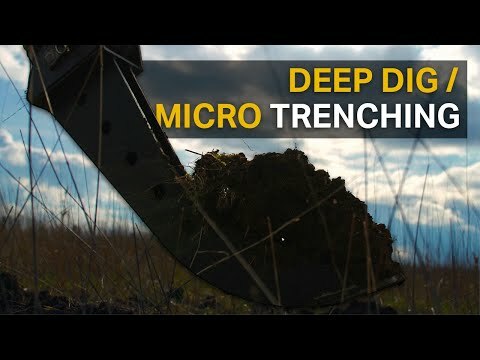 700mm Deep Dig Bucket (also called Micro Trenching or Virgin Media bucket). This bucket is 75mm wide and digs to a depth of 700mm. This product is made to order, so please allow 5 working days for delivery - if you need it faster, please contact our sales team on 01430 259259. Deep dig buckets are ideally suited for installing small diameter pipes and cables, and in particular for use installing fibre optic broadband. These buckets massively increase the efficiency of the initial digging and also significantly reduce the reinstatement costs.